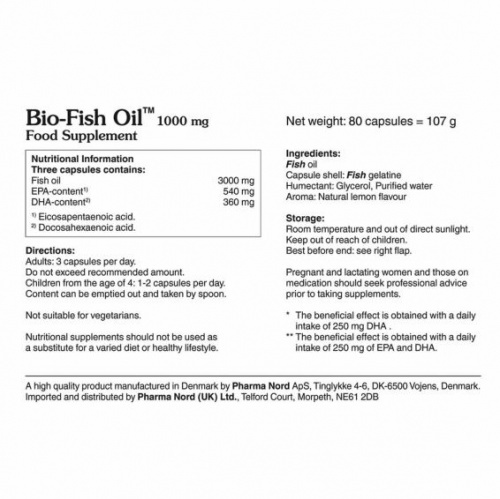 Omega 3 Fish Oil supplements from Pharma Nord contain pure and natural fish oil in capsules made from fish gelatine. Omega 3 is important to normal immune system response and can also suppress the production of inflammatory substances. 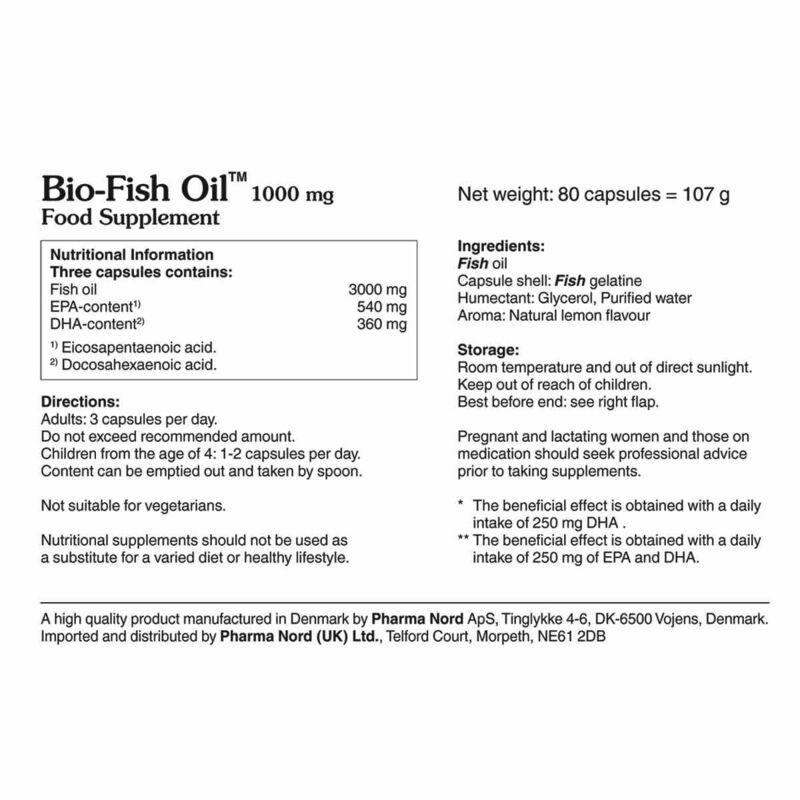 Fish oil contains omega-3 fatty acids EPA and DHA, which contributes to normal functioning of the heart*. DHA contributes to the maintenance of normal vision** and brain function**. 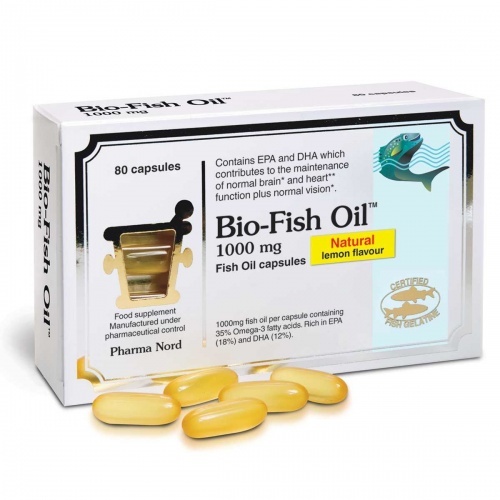 Bio-Fish Oil is derived only from deep ocean fish and is carefully screened to ensure that it is free of possible pollutants. 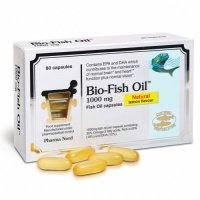 It is an economical fish oil preparation for a daily supplement. The preparation is a clear soft gelatine capsule with yellow oil. The capsules are packed in a transparent plastic blister pack with an aluminium membrane approved for use with food.